Every plate achieves that elusive, cuisine-defining balance of tangy, spicy, and tasty — even dessert. A true Taste of Mexico. Our story begins with the passion and creative vision of owner and architect, Gabriel Sanchez, native of Jalisco, Mexico known for the birth to Mariachi music, Charreadas (Mexican rodeos), the Mexican Hat Dance, tequila and the wide-brimmed sombrero, Sanchez wanted to create an experience that would represent his traditional family roots as well as Mexico’s national holiday Dia de los Muertos, Day of the Dead. 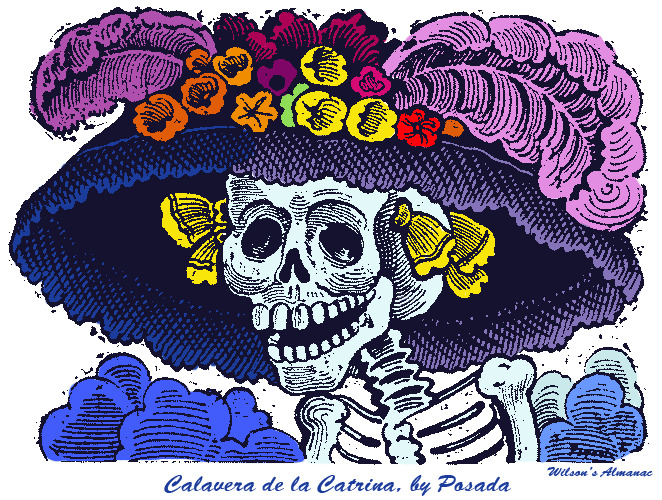 Sanchez’s artistic vision was to incorporate “La Calavera Catrina” the icon for the Mexican Dia de los Muertos that represents a time to reconnect with deceased friends, family members and ancestors in a festive spirit of remembrance and celebration with the cultural family values of Mexico. In his journey he has made great friendships with partners, Jose Jimenez and Jaime Magdaleno who have not only brought the management and skills and true authentic spices of Mexico, but the passion to make the mexican tradition come true. Together they wanted to not only to bring the Mexican culture, but a true experience where people come to have a good time, relax, enjoy good authentic mexican dishes, live music, laugh and love. It truly is a Taste of Mexico. Gabriel Sanchez is a passionate owner and architect of Villa Catrina, having graduated from California State Polytechnic University with a Bachelor of Architecture degree and having over 20 years of business experience. Gabriel was raised in a culturally rich community, being a native of Jalisco, Mexico, and he brings his unique perspective and passion for Mexican culture to Villa Catrina. Partnering with Joe to start Villa Catrina was a dream come true, and Gabriel’s expertise in both hands-on business approaches and lasting client relationships brings a professional element to Villa Catrina that ensures a bright future for this one-of-a-kind establishment. Genaro Padilla started working in the restaurant industry at a young age. What was supposed to be just a summer job turned in to a life’s work. He has done every job in the restaurant business and eventually worked his way up to management at a young age. His hard work and dedication is evident as soon as you meet him. The desire to learn and better not just himself, but his family is what keeps him motivated day in and day out. Padilla was raised in Pasadena and has been in the restaurant business for 19 years, since the age of 15. Padilla’s biggest influence in his career has been his family, without all their support through the years, he feels that he wouldn’t be where he is now. Joe Jimenez is the numbers guy of the organization, with a B.S. in Business Administration and Economics from St. Mary’s College and 31 years of professional business experience. Owning a bar/restaurant is a new venture for him, but it is one he always envisioned himself doing. Joe has both experiential knowledge in the industry and a strong financial background. Outside of running the contract management operations for Villa Catrina, Joe is actively involved in his community as a member of his church board, and a member of the school board at Charter School, and is an avid Dodger fan! A fixture of Arcadia, Jesus Mendoza, better known as Chuy, has been serving locals with a smile and the best service around town. He is loved by customers and he makes sure everyone feels at home. Besides great service, he makes the best margaritas. With over 20 years of experience, he understands the bar business and he leads our bar with expertise. If you know Chuy you will be glad to see him again and he will make you feel like and old friend coming home.